Each of these members hail from our chorus! Tenor - Mary Ellen Waldeck, Lead - Alysse Turner, Baritone - Melissa Brown and Bass - Jeanne Wolford . 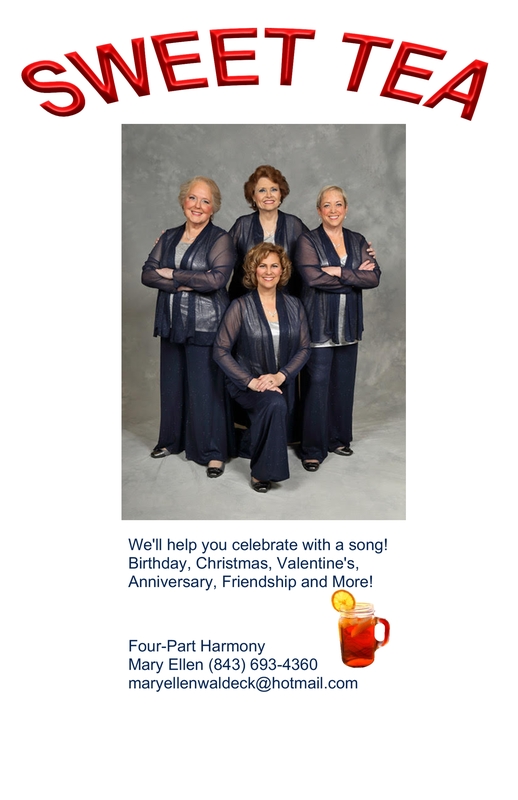 This fun loving talend foursome is availble for performances in and around the Charleston Area! Consider hiring them for your next event.